Ever heard of a “dual clutch”? My experience with dual clutch systems is in Audi. Their DSG system makes your automatic feel like a manual, somewhat, with the goal of achieving faster shifts and a better feel. It also eliminates the torque converter. 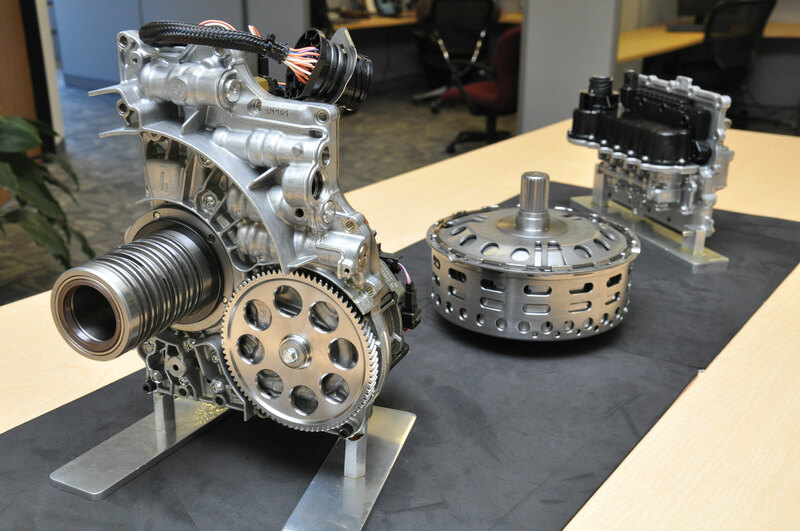 So when I read that Tremec made a dual clutch system, I had to know more… Here’s a bit more info. Keep your fingers crossed this will appear in a hot rod Mustang near you! FOR ROAD-GOING CARS THE DUAL CLUTCH IS THE APPARATUS OF THE FUTURE. Equipped with two input shafts (one inside the other), torque interruptions are imperceptible during gear shifting. In fact its gear-shifting technology is so rapid the “head-bob” is eliminated. With half the gears on one main shaft and half on the other and a cluster between them, the dual clutch brings the two transmissions together. Odd number gears reside on one shaft, even number gears on the other. When shifting from one gear to the next the second gear is already pre-selected and the dual clutch operates in 200 milliseconds. The valve body, pictured at the right of the clutch, contains a series of valves that control the fluid that assists in the gear shifting actuation and the clutch release. 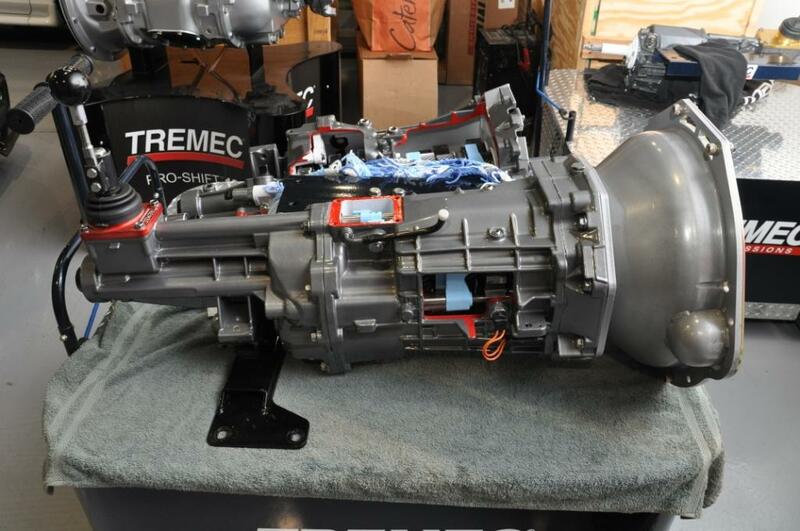 For racing cars, TREMEC is introducing their new Magnum XL to the heart of competition at the Detroit Grand Prix, June 1-2, 2013. Originally designed for the S197 Mustang, the Magnum XL features an extra long extension to ensure precise shifting and extend the shift lever back to a more convenient location. In addition the transmission eliminates the OEM two-piece driveshaft. 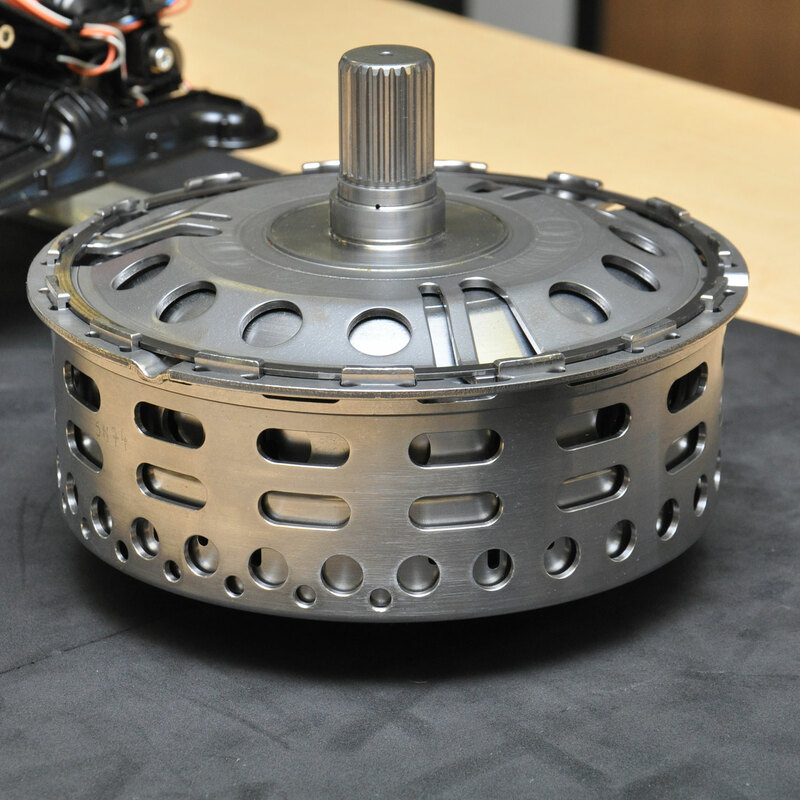 A one-piece aluminum replacement is provided that reduces the rotating mass by more than 20lbs. Moreover an SFI-approved burst-proof bell housing is supplied with the kit. I have an evo x mr with a sst dyal clutch transmission i need it to hold 800wtq can u you guys help??? I’m confused. Why would you need an old fashioned shift lever at all. Just a selector for forward or reverse should work. Or is this different from the Dual Clutch transmissions where you flick on lever to upshift and another lever, on the opposite side of the steering wheel, to downshift?